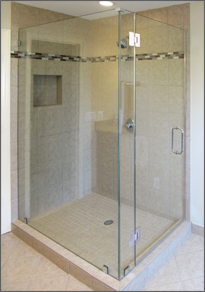 Select one of the pictures below that most closely resembles your shower. 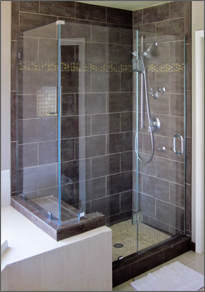 What is a corner showers? 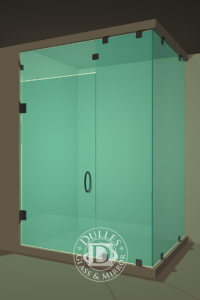 A 90-degree glass return panel is really just a glass wall. 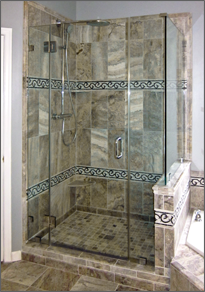 It's required when there are only one or two existing bathroom walls contributing to your shower enclosure. Since at least four sides are needed to enclose your bathing space, two glass panels will be used to complete your shower structure. 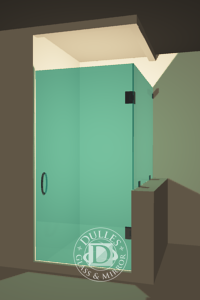 These two glass panels would normally meet each other in a 90 degree angle. 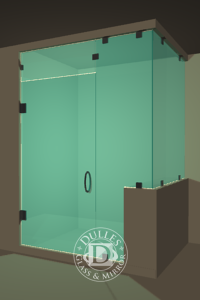 One of these panels will actually be inline with your shower door. 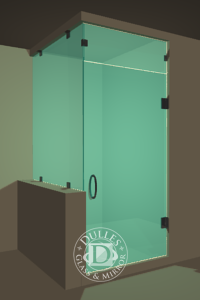 Then the return panel is the glass that "returns"; from your door to a wall. 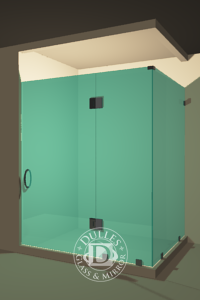 Depending on the design, your shower may have more than one return panel such as neo angle showers have. 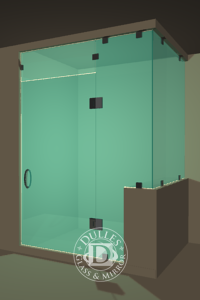 Most of the time, however, the return panel is squared off at 90 degrees, forming a standard corner, referred to as a 90 degree return. 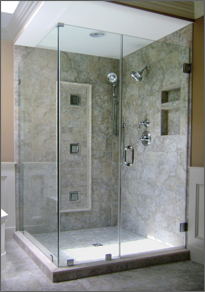 The width of the door of a corner shower enclosure normally starts at 22" and can go beyond 36" (check your local code for a minimum width of a door for an entrance). 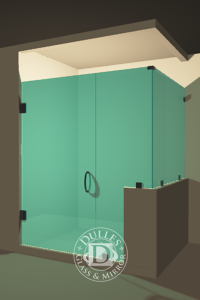 90 Degree Shower Door configurations are able to support widths exceeding 36” when they're divided into a door and the single pane adjacent to it. 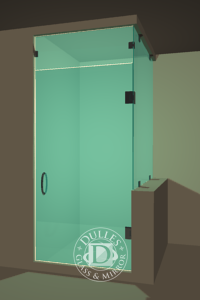 The height of the glass can range between the minimum size of your opening to a maximum of 96". 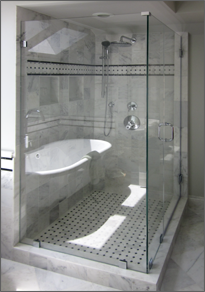 Standard height (most common) of a single glass shower door is 72". 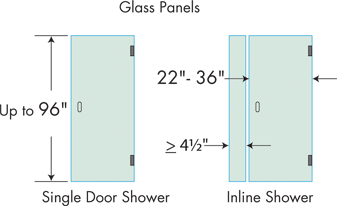 The maximum height of the door actually depends on the width as well and is closely related to the overall weight of the final product. 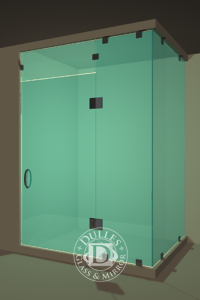 3/8" Thickness (standard) and 1/2" Thickness (heavy) are our most popular glass thickness options. Any glass thinner than 3/8" would need to be wrapped in aluminum extrusion to help stabilize the glass and therefore would be considered a framed shower door. 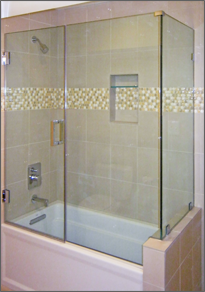 Shower glass thicker than 1/2" is not offered due to its weight being too heavy to be supported. 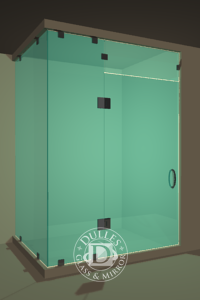 Glass is cut to size and all sides are polished to a smooth high polish finish and if side hinges are being used, a mickey mouse cut is carefully cut into glass to hold the hinges and glass together. 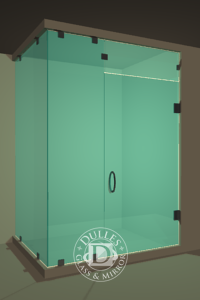 Depending on the size and location of the handle, a pull knob or a grab bar with various holes are drilled into the glass to provide for anchorage. 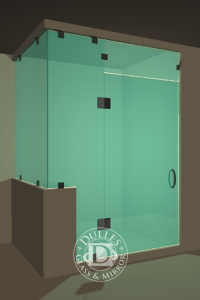 See all available glass works options. 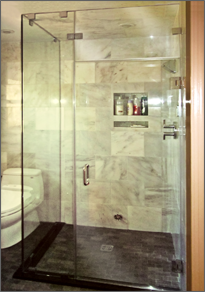 Side-Mount hinges and Pivot hinges are two of the most popular frameless shower hinge types. 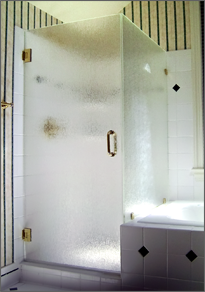 Side hinges the most used attachment type for single shower doors. 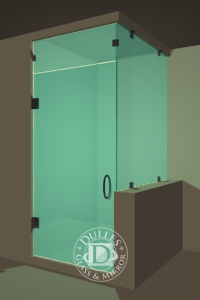 Depending on the weight of the glass, two to three side hinges may be used. 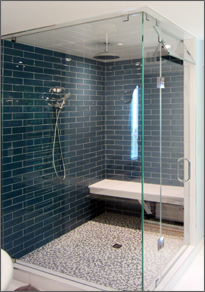 We know that any remodeling project can seem a bit daunting, so we've put together some pointers for making the planning process easier and ensuring the installation process goes as quickly and smoothly as possible. 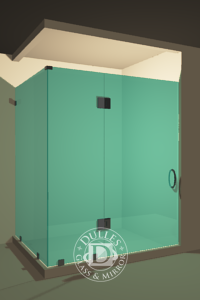 The ClearShield System is the perfect solution to protect your brand new glass shower or glass bath enclosure. 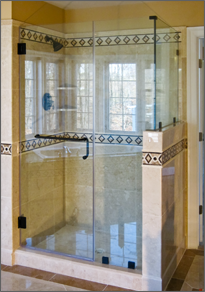 ClearShield not only protects, but maintains your glass, for that beautiful dazzle. 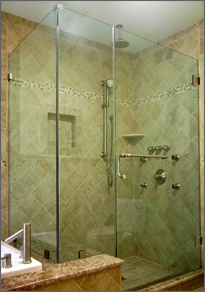 With ClearShield, your glass stays looking new, resists stains, dirt, and discoloration, resulting in a glass shower that's easier to clean. 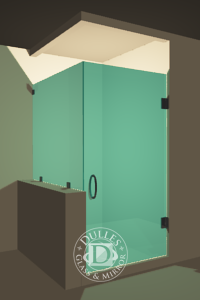 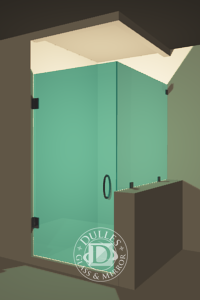 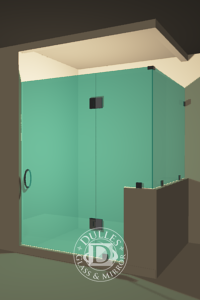 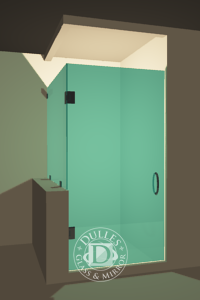 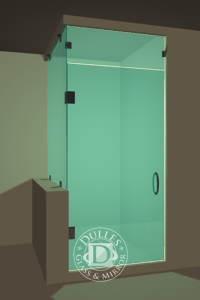 Make the smart choice and choose Dulles Glass and Mirror for all your glass. 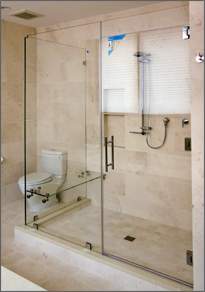 Installation throughout most areas in Virginia, Maryland and Washington DC. 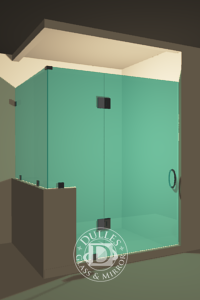 Visit our showrooms in Manassas, Virginia and Silver Spring, Maryland. 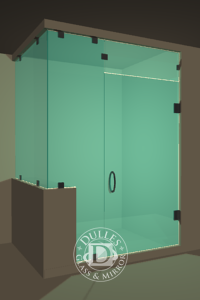 You can order with confidence from Dulles Glass and Mirror.